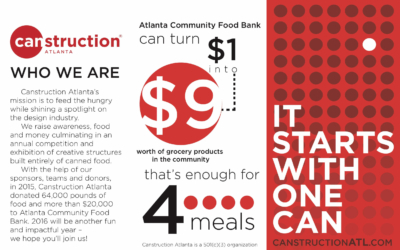 Canstruction® Atlanta is a non-profit organization which hosts competitions, exhibitions and events, showcasing unique structures made with canned food. 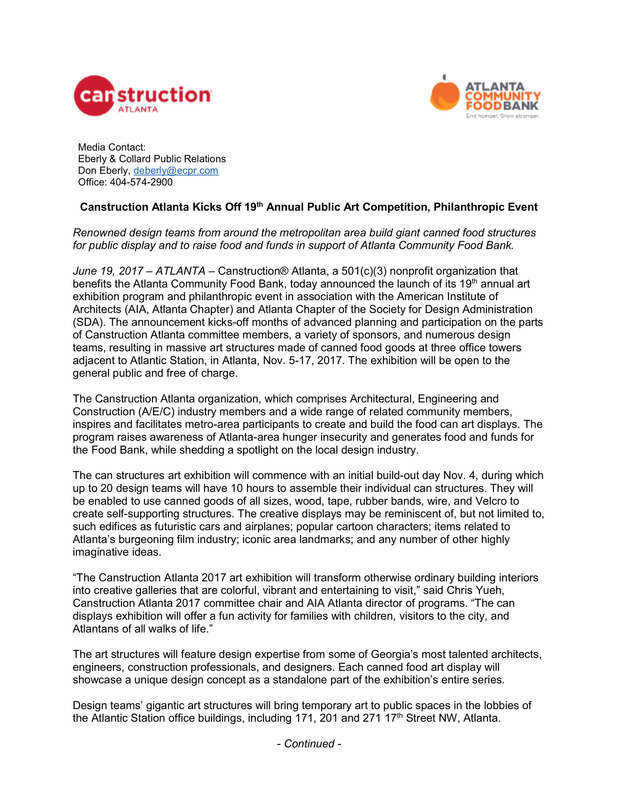 Featuring several of Georgia’s most talented teams of engineers, designers and architects, these colossal creations are displayed to the public during a two-week exhibition. 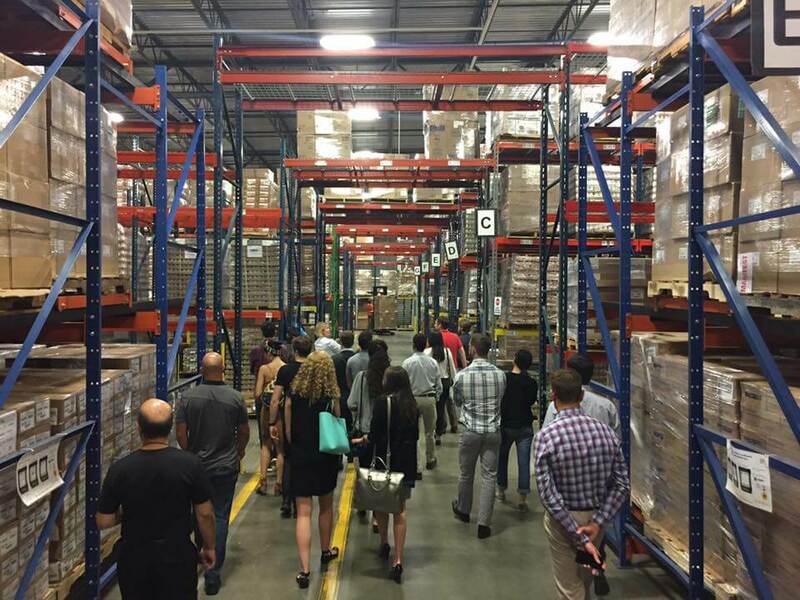 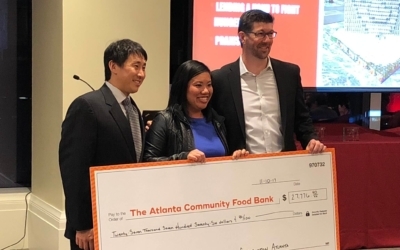 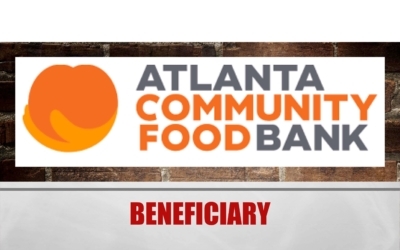 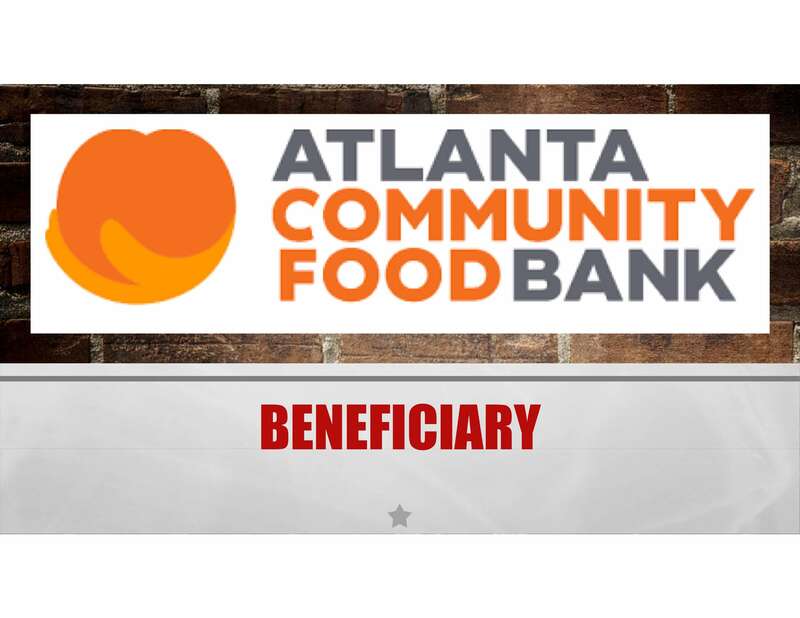 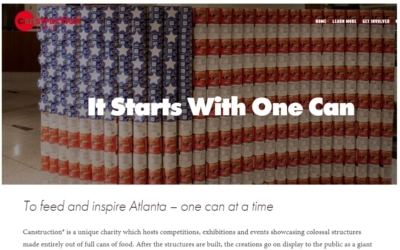 Following the event, the canned food is donated to the Atlanta Community Food Bank, who distributes over 60 million meals to more than 755,000 people across metropolitan Atlanta every year. 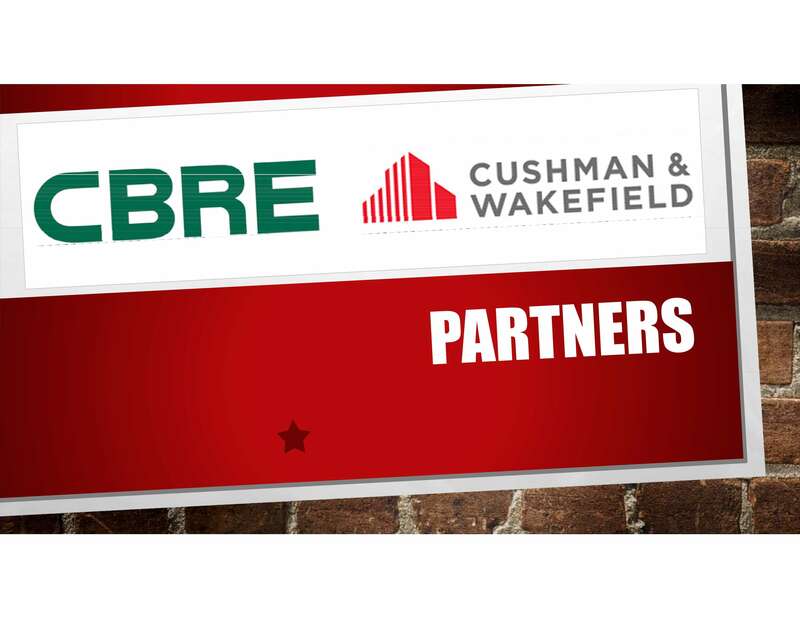 Eberly & Collard Public Relations developed and executed a strategic public relations plan comprised of multiple media elements to maximize press opportunities. 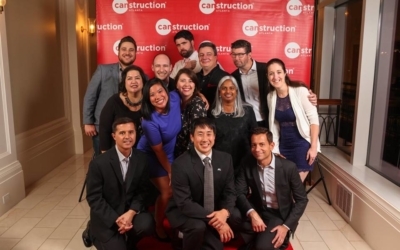 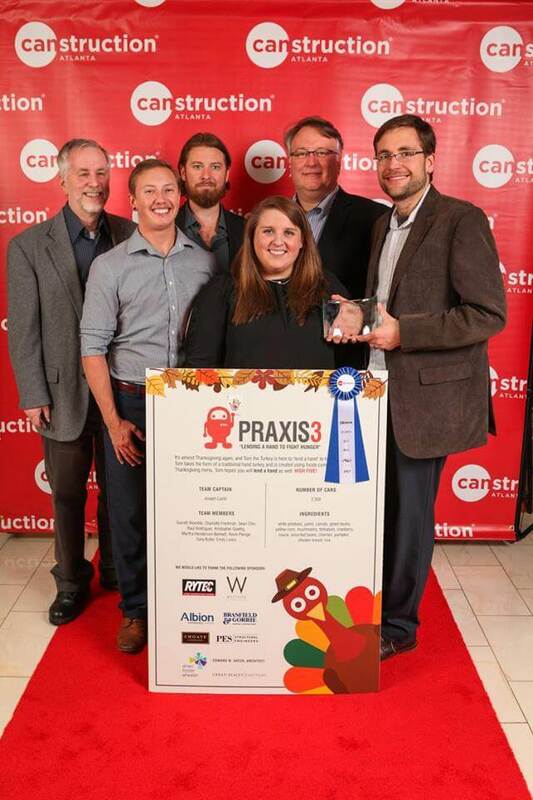 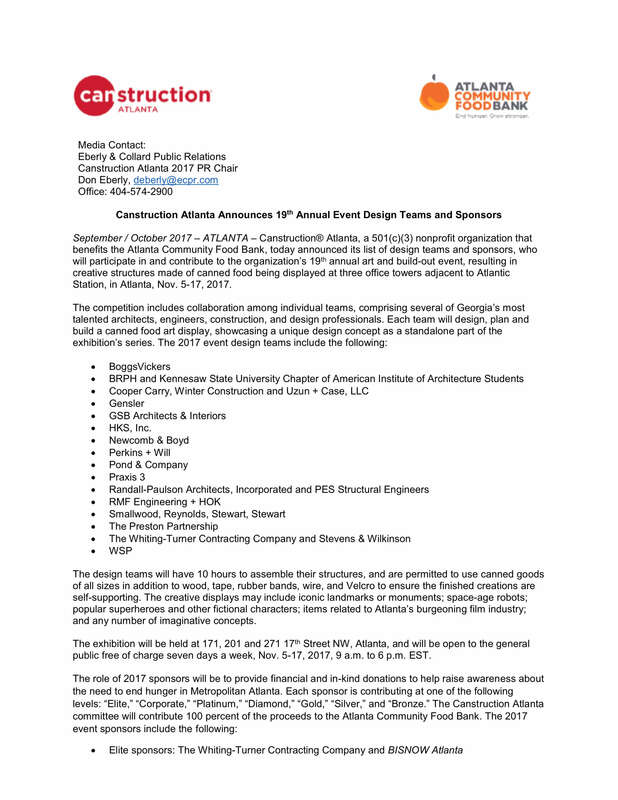 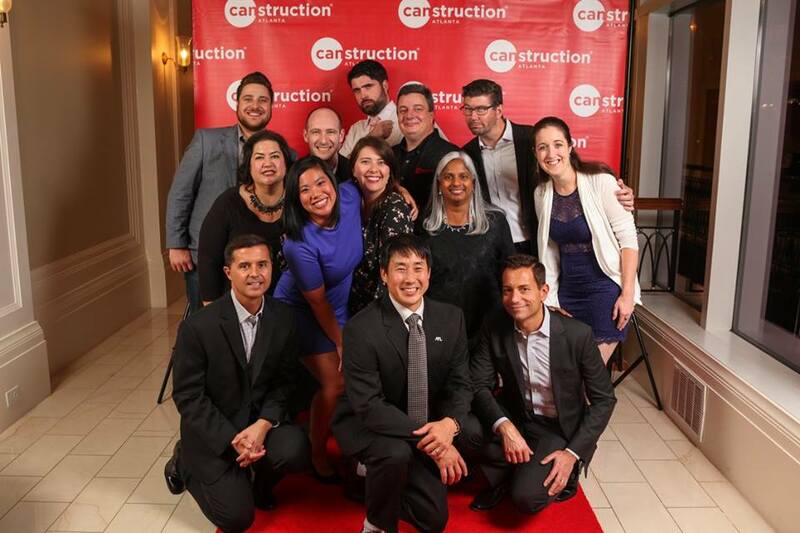 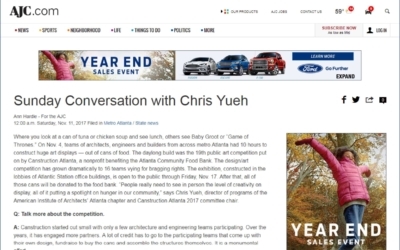 The long-term strategy focused on quarterly press releases throughout the year, which provided ample time for editors to include coverage of 2017 Canstruction Atlanta events, sponsors and teams in local publications. 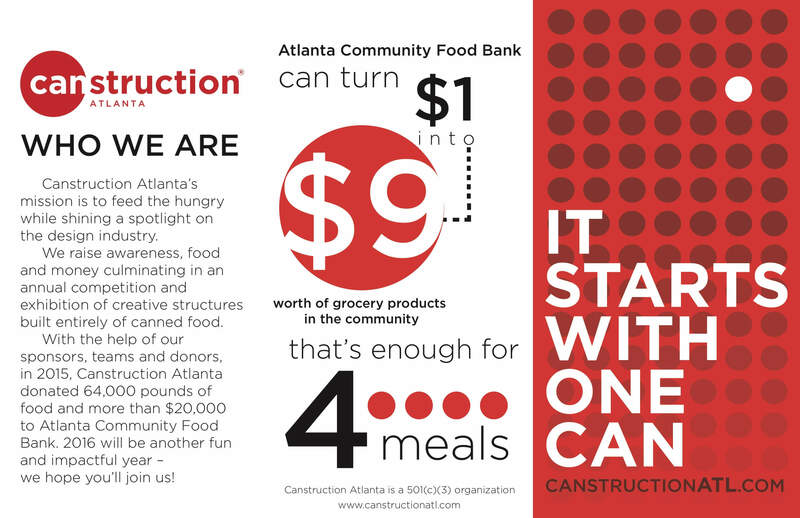 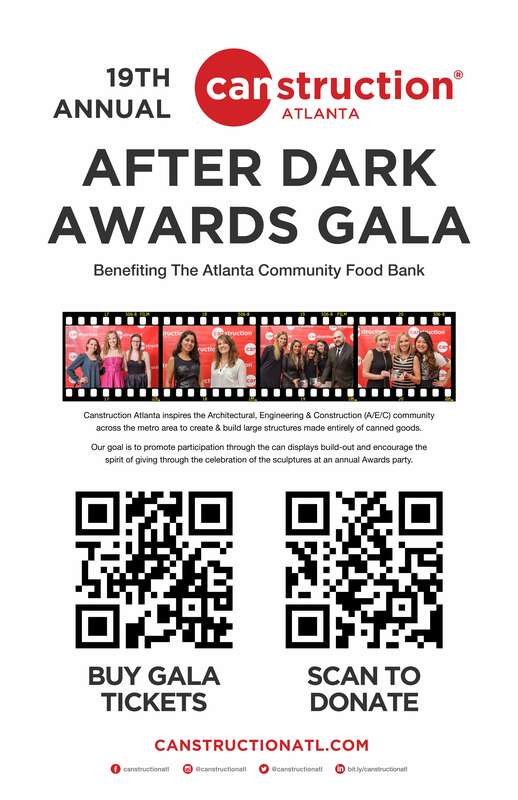 Updated digital media toolkits included ads, messaging, taglines, press releases, and high-resolution photography, highlighting the philanthropic efforts of Canstruction Atlanta and event participants. 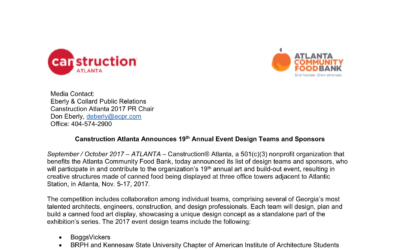 In addition, Eberly & Collard Public Relations secured BISNOW Atlanta as the official media sponsor to cover 2017 Canstruction Atlanta. 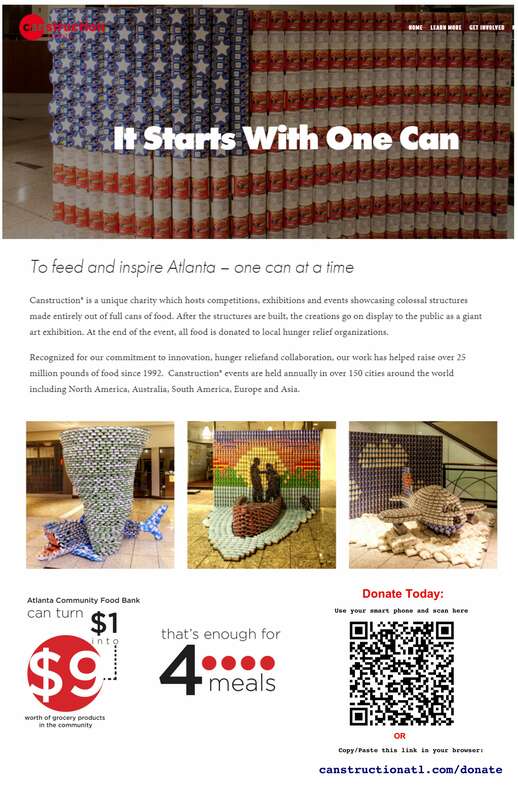 Through this partnership, the Eberly & Collard Public Relations team partnered with BISNOW Atlanta to yield brand visibility for Canstruction Atlanta at events hosting high-level commercial real estate developers, architects, engineers, and allied members of the field as well as though a series of e-newsletters, including banner and box digital ads with hyperlinks to press content publicizing Canstruction Atlanta. 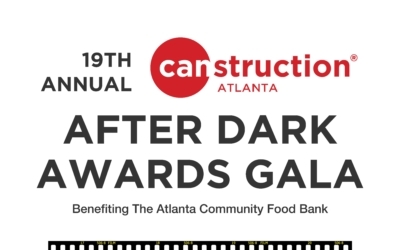 Finally, Eberly & Collard Public Relations worked closely with the Canstruction Atlanta committee to plan the annual awards gala. 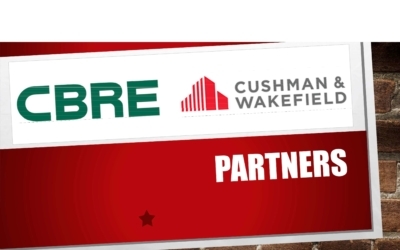 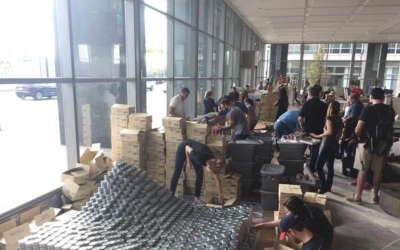 In preparation for this, Eberly & Collard Public Relations developed signage to showcase the partnerships with various sponsors and teams who generously volunteered their time and resources to support the Canstruction events. 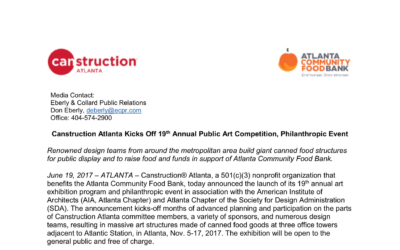 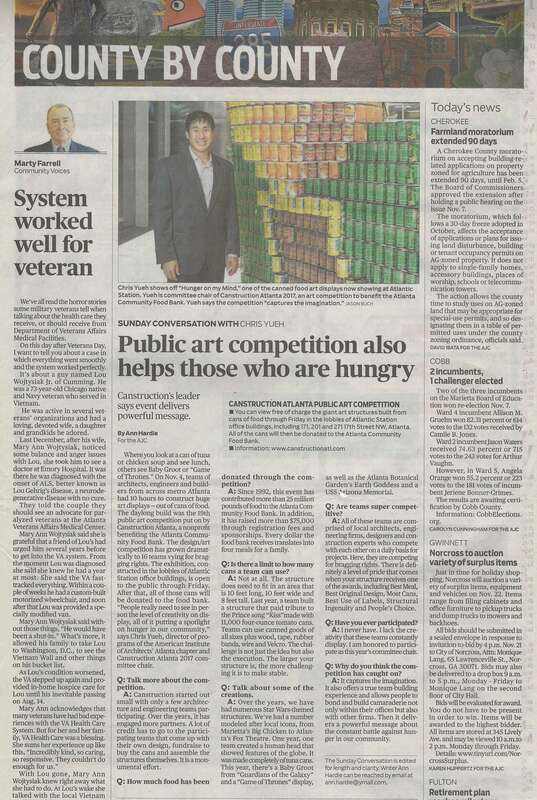 In collaboration with the committee on which they served, Eberly & Collard Public Relations generated significantly more media coverage for 2017 Canstruction Atlanta and participants. 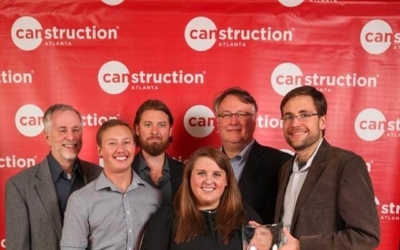 Notable coverage included placements in BISNOW Atlanta, AtlantaBiz and INTown Atlanta, as well as a full-page feature story in the Atlanta Journal Construction with more than 5 million readers total. 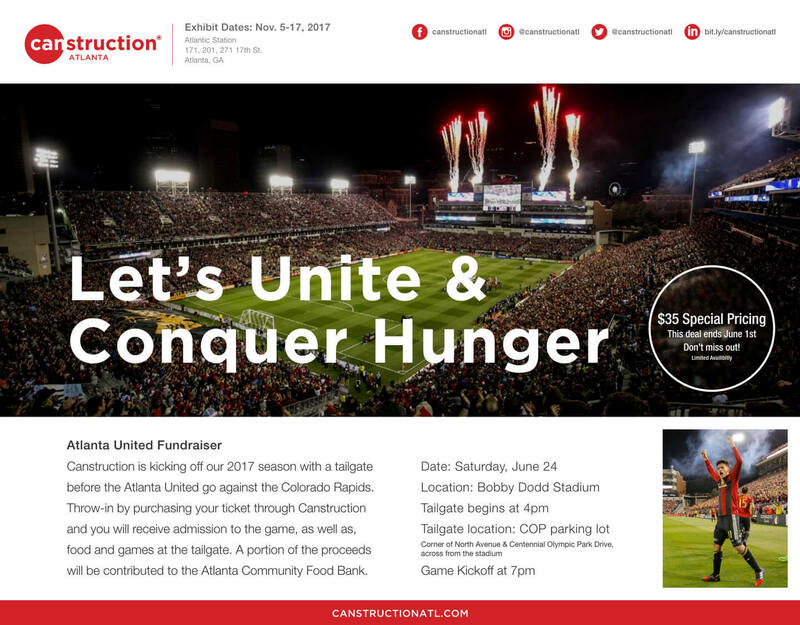 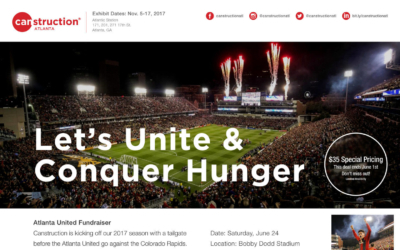 Additionally, the mid-year fundraiser event at an Atlanta United soccer game sold 50% more tickets than the previous year as a result of promotion via newsletters, press and social media. 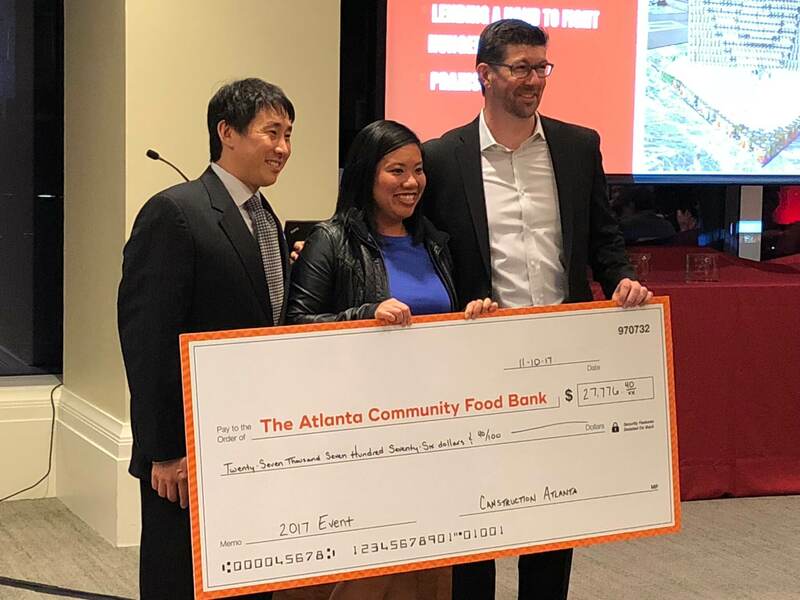 All proceeds were donated to the Atlanta Community Food Bank in support of their mission to fight hunger by engaging, educating and empowering the community. 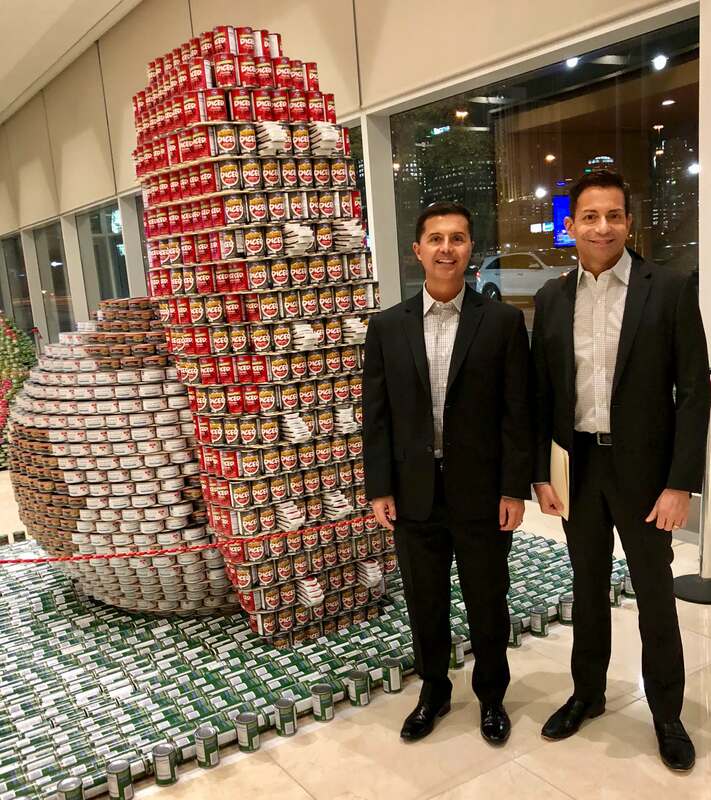 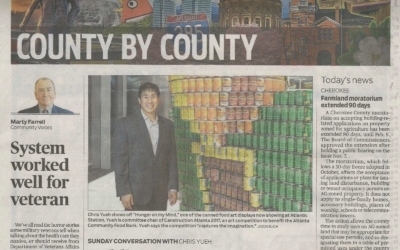 2017 Canstruction Atlanta’s public relations campaign resulted in increased awareness of Canstruction Atlanta and the Atlanta Community Food Bank, as they work diligently to ensure Georgians who suffer from hunger have the food and nourishment necessary to lead healthy lives. 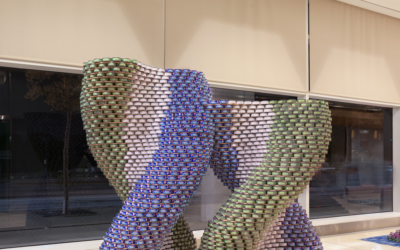 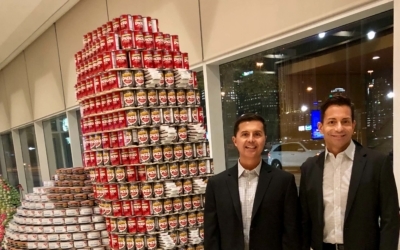 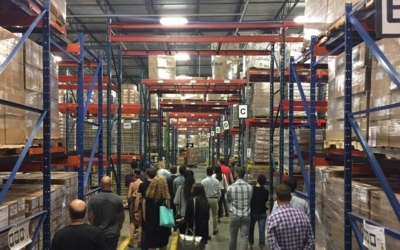 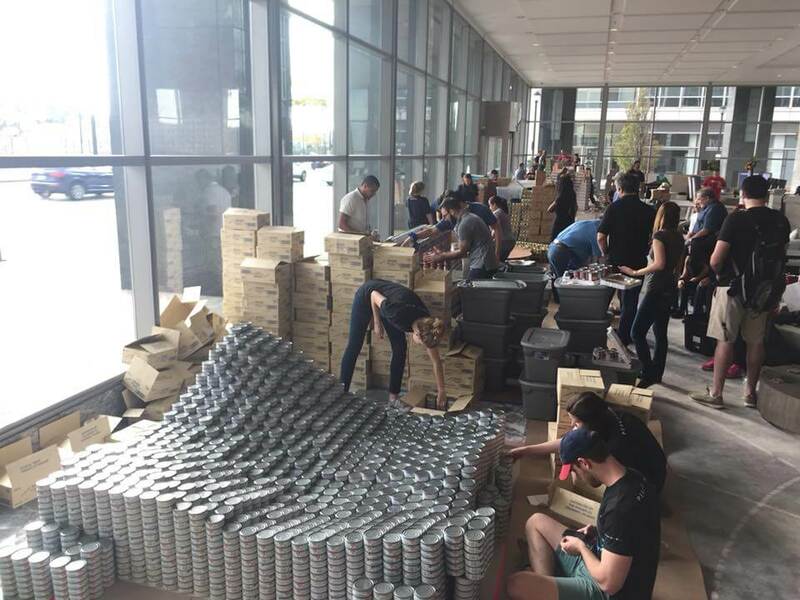 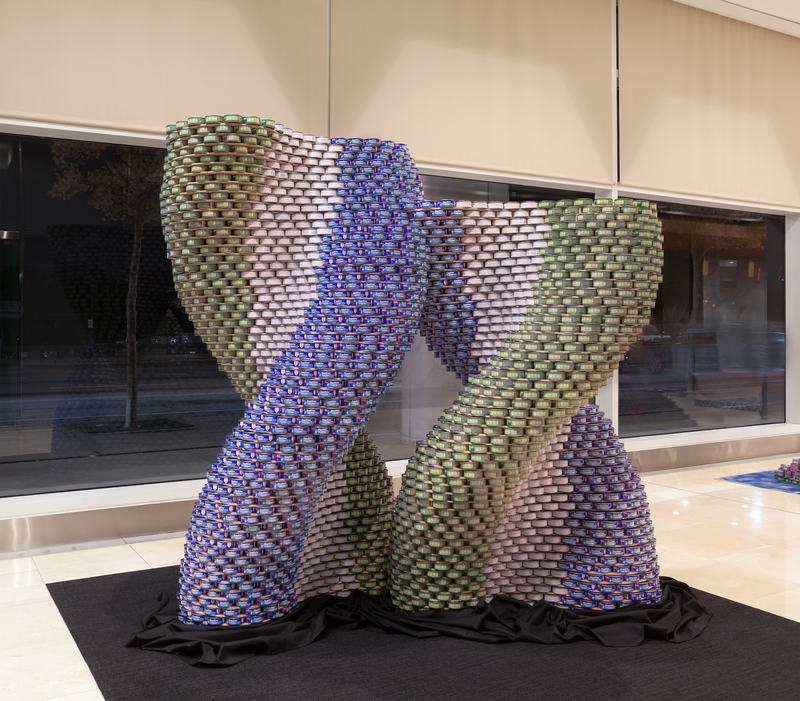 The results were admired by the national Canstruction organization to the degree the national entity expressed interest in adopting select strategies for its coast to coast efforts.